It is my firm belief that writing prompts are a waste of time. If you need prompting into creating a story to write about, perhaps you should find a different hobby to occupy your time. Prompts are for people that lack the imagination to explore on their own. If you are a user of prompt, don’t hate me. I was too for numerous years as I struggled to find my voice. The interesting thing is that I stopped struggling when I stopped using prompts and stopped strangling the voice inside me and allowed it to run free. The first story I did that for was the first story I sold. I find that often when I look at prompts, I usually think that the writer of the prompt has a vivid imagination. They did the thinking for me, now all I need to do is paint by numbers and call myself an artist. Of course, that isn’t the truth of the matter. Many great stories have been born from prompts, but my gut reaction is that anything I would write would be cliché to the point of plagiarism. How do you avoid this pitfall? Easy. Don’t use Prompts to stimulate your writing. There are thousands of websites, Facebook groups, and even email lists for submission calls. And here’s the real kicker. Submit the story once you are done. Submit it if you think you lost focus on the call and went on a tangent about socks. Submit it if you think the publisher is going to hate it because your story is about fairies and rainbows and the anthology is about fierce beasts from mythology. Submit it if you think you are a hack writer that couldn’t write your way out of a paper bag (the key to writing out of a paper bag is to imagine it is a box instead, and then write outside of it). No matter the reason for your insecurities, write your story and submit it. Send it to an editor first though. It’s not a blog post for the love of God. Search around and find the market that appeals to you the most. Searching the markets is a fun alternative to Candy Crush while on the shitter. Good luck with the search. As many of you probably know, my latest book is There Are No Zombies In America (henceforth known as TANZIA in this document) is not a zombie book. There are no zombie hordes wandering the streets… except JB’s, but that doesn’t count. There are no brutal imagery of zombies eating people… except the Youtube videos, but they don’t count. I’m getting off topic here. What I am trying to say is that this is not a zombie book. So the problem here is zombies are mentioned in the title of the book yet it is not a traditional zombie book. Trust me, I have read hundreds of zombie books, and this is not one of them. Yet the people that generally buy zombie books will steer away from it like a steer from a slaughterhouse. And the people that generally don’t buy zombie books, they will fly from it like a fly from Mr. Miyagi’s chopsticks. So the dilemma is such, how do I lure the steer to the slaughter house and trap the fly in the web. In short and with fewer mixed metaphors, how do I sell this damn book. One of my readers, the wonderful Stan Davis, helped me some by reading the book and posting a wonderful review. Then he sat down at his computer and designed a new cover for the book that he thought better captured the mood of the story. I am deeply grateful to him for his generosity. But now what. Sales are still slow coming, yet the reviews have been very good. I am thinking of doing a free weekend of the kindle version, but I’m not sure it will help any. It is a book I want people to read, and I am not even concerned about the money as much. Any ideas or suggestions are welcome. City is one of those Science Fiction books that has a brilliant idea, but the delivery is just muffled a bit to make it a good read but not great. I see it very much in the same mold as Asimov’s Foundation. There is a lot that can be discussed here, but all of them would involve spoilers. It is very complex and will be sure to take turns you didn’t expect. I would call it a must read for all science fiction fans, even though I do not think it is the best book by Simak. If you have read this, I would love to discuss some of the philosophical ideas and dilemmas presented. Please message me. Christopher Minori’s anthology of short stories, Dirty Little Secrets is a fun set of stories, each one bringing classic themes of horror and speculative fiction out for a new stroll through you mind. While none of the stories offer a truly groundbreaking story, they do what they set out to do; they entertain. Minori is from the mold of writers whose craft has been molded through thought experiments of other stories and how they can be twisted into a new tale. The results can be stale at times and brilliant at others. My favorite stories from this anthology are Father’s Request and The Hummel Store, which is strange for me as they are also ghost stories. I generally do not prefer ghost stories, but I thought these two were Minori’s best efforts. What made these, and A Pound of Flesh, work so well is that the characters in these stories were built to a more acute angle and made whole. While other stories in the book fall short as the characters are made shallow or are cartoon parodies of real people. While I am often a fan of satire, I think Minori’s style tends to be better when dealing with serious topics. The several comedic pieces in the book fell short for me. All in all, this was a fun read. Elements of the old Twilight Zones lurk in these pages. Give it a shot. Of all the Star Wars books I have read, This is my favorite. It is my favorite because it is not a fantasy like the rest of the films, or even a Space Opera or science fiction. Kenobi is a western, and Jackson even included all the old tropes of the western genre. One of my favorite aspect is the the mysterious stranger that shows up and cleans up the town is actually known to us. The Pale Rider is Obiwan Kenobi, hero of the Clone Wars, the trainer of Anikan Skywalker, killer of Darth Maul. We have pulled the mask off the Lone Ranger, and he is one of the last Jedi. If you are a Star Wars fan, read this book. Especially now that there are talks of a movie. Stephen King’s son, Joe Hill, is not the dark wizard his father is, but he clearly has a bit of his father’s flare in him. The Fireman is a very interesting story. The initial story is pretty ridiculous, but the characters are wonderful, and the action builds to an inferno. I would give this one 3 out of 5. Worth a look if you have the time and the inclination. 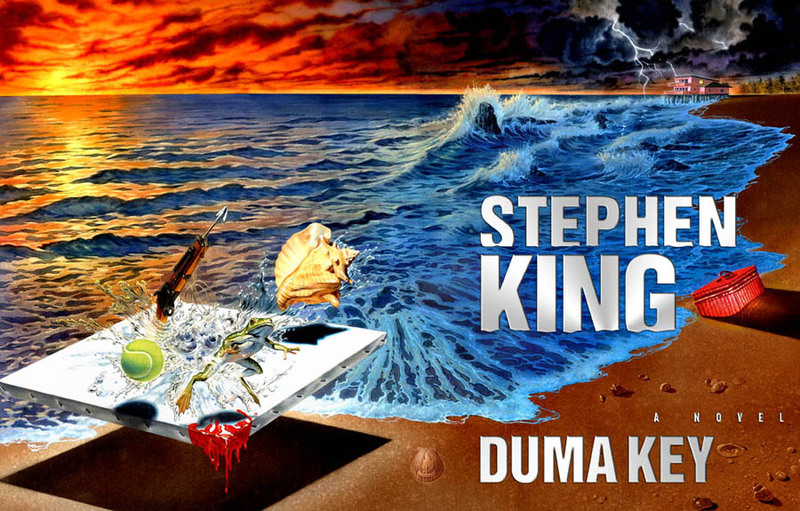 Duma Key has, since it’s publication, been one of King’s most disliked books. The reasons are fairly clear. It is a book with a monster story thrown in because that is what King likes to do, but the other story of healing on a personal retreat and finding a hidden talent as a coping mechanism is the far more compelling story. So in this mess of a story, King tells us a story that is both very human and quite personal and then ties it with a fantastical, mystical story that is far fetched and really kind of stupid. But that is what makes King the master he is. King can create characters and tell us about our lives like nobody else, and then he brings the dark. I recommend this one. I give it a 4 out of 5. It is far from King’s best, and far from his worst too, but it is a fun ride and I enjoyed seeing the worlds of realism and abstract combine on the canvas.